Running is a very popular pastime around the world. Just in the US it is estimated that 40 million people are running regularly. Unfortunately statistics also show that around half of all runners will have a significant injury every year. Some studies say 60-80%! And a high percentage of people are running marathons with injuries. This sounds like the statistics for a provincial rugby team! As a runner myself I know how frustrating injuries can be. Once these type of injuries have started they can be a real problem to resolve and will almost always require days, weeks or months out of your running schedule. So the trick is to prevent these injuries before they start. But before we can stop injuries we have to know what causes them. With running there is no one cause, and unfortunately studies are conflicting and often vague and unhelpful with regards to the causes. So what risk factors have studies shown to cause injuries? Previous running injuries – injuries in the past mean you are more likely to have injuries in the future. Not very comforting or helpful if you have been injured before. Obesity – obviously the more extra weight you are carrying the more stress and strain on the body. If you are worried you may be carrying too much weight see a dietician. Too far too fast – increasing your running speed and distance too quickly, especially when you are starting out or at the beginning of the season can cause overuse injuries. Your “lung fitness” can outstrip you body’s ability to build the tissues to cope. In general the runners 10% rule is a safe one to follow – don’t increase your running distance more than 10% per week (although more than 30% showed the most injuries). Also remember running a bunch of hills when you are not used to it may cause injury even if mileage is the same. If in doubt do less rather than more. Harder surfaces = greater chance of injury. Trail running can be easier on the legs due to the softer turf (although a sprained ankle may be more likely). But be careful when moving from the trail to the road. Stretching – stretching before a run hasn’t actually been shown conclusively to reduce injuries and may in some cases increase your chance of injury due to muscle fatigue. I still think it is worthwhile stretching a particularly tight muscle or previously injured area before a run. Otherwise leave the stretching for after a run. This doesn’t mean that a warmup is no good. Warming up the muscles, especially before a fast run is still advisable. Shoe type – interestingly several studies are showing that, in general, assigning specific shoes to specific foot types does not reduce injury and may in fact make them worse. There is some evidence that the more expensive the shoe the more likely you are to be injured. As a general rule it is better to have a neutral shoe and find one that is comfortable for you to run in. Even orthotics or shoe inserts may be associated with more injury. If you have found a shoe that works for you then stick to it if you can. Peak braking force – initially it was though that how hard you hit the ground with your foot vertically would predict how much you got injured. Some of the latest research indicates the best predictor for injury is the horizontal force (peak braking force) as your foot hits the ground. This shearing force can be modified by shortening your stride and/or increasing your cadence i.e. more strides per minute. A cadence of 85-90 per minute is usually suggested. The above factors are all external, and important to be aware of. From a chiropractic perspective we also like to look at what is happening internally that might be causing imbalances in the body. If the body is not well balanced this can cause added pressure on certain muscles, ligaments, bones and tendons on one side of the body causing them to become inflamed and/or painful over time. Heel/Achilles pain may be caused by weak toe muscles and weak outside of the leg muscles. Knee pain may be caused by weak gluteal muscles in around the hip. A high arch of the foot has been linked to numerous injuries. Difference in leg length may affect running gait thereby causing injury. Knock knees or bow legs may produce pain in the knee cap or ITB syndrome. An overly arched back may suggest weak core muscles which will affect leg stability. Imbalances may occur between the hip flexors and buttock muscles causing problems like piriformis syndrome or groin strains. All these and more can be assessed and treated by a chiropractor to ensure that you are balanced before you run, so that your chance of injury from internal factors is greatly reduced. If you are already injured it is just as important to check these factors so that healing can occur more quickly and you can get back on the road or trail faster. In addition, with more problematic or chronic cases a consult with biokineticist may be suggested for a full exercise programme. A note on barefoot or minimalist shoe running: I run in minimalist shoes, ie a very thin sole and no heel drop. However, I did this from the start of my running. 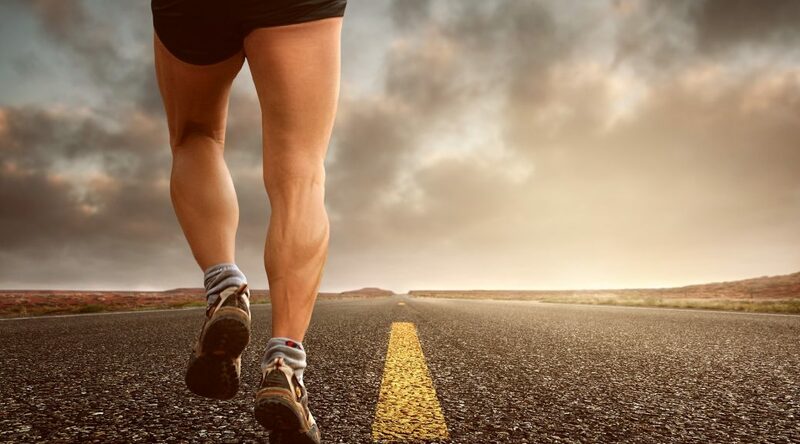 Converting over to this style of running requires moving from heel striking to forefoot or midfoot striking which can put pressure on structures like the Achilles tendon which are not used to it causing injury. If you would like to try this it can take a period of 6 months to a year to do it properly. However, sometimes this will solve injury problems that before have seemed unsolvable. If you feel like you have a weakness or imbalance, or are struggling with an injury which won’t go away, get a chiropractor to assess your frame to determine if there is an imbalance. Many of these weak or tight areas occur with general lifestyle factors like sitting in front of a computer for 8 hours a day at work, or long periods driving, so almost everyone is affected to some degree. I don’t want to make it seem that running is a dangerous, inevitably painful sport. For most runners the pleasure received from running far exceeds any risk of injury and 90-100% of your running year will be most likely be comfortable and enjoyable. I see many runners who get through a running year fine with maybe the occasional niggle here or there which just needs a little TLC. The trick is to back off if you do have a problem that crops up for more than 2-3 runs and get it seen to before it becomes a chronic injury. Most of the time you will be back on the road before long, racing up your favourite stretch of trail or road. Also, I do often have runners coming to see me before a major race, even if they have no pain, just to check the chassis and wheel alignment is in good working order.